Chinese engineers have successfully built lasers to counter low-altitude, low-speed drones. Earlier this week, the Associated Press reported that Chinese engineers successfully tested a laser weapon capable of taking down a relatively slow-flying, low-altitude drone. 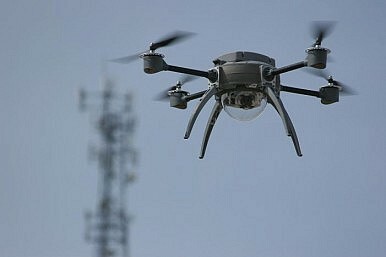 Although one’s first impulse might be to tie this development in with broader trends in Chinese military technology and to assume that the weapon would eventually be used for defense against state military drones, Chinese state media claim that the laser system would eventually be used for counter-terrorism and domestic security purposes. There is little reason to believe that claims that these lasers are intended for domestic security are a misdirection. Most importantly, Chinese state media reports have been forthright about the limitations of this anti-drone laser technology, noting that during testing it was only capable of successfully downing “various small aircraft within a two-kilometer radius.” This technology remains a far cry from threatening any real military-grade drones or other remotely piloted aircrafts (RPAs) which often cruise at higher altitudes (up to 50,000 ft in some cases). Xinhua notes that the system is characterized “by its speed, precision and low noise” — not its power or range. The system can target drones flying at up to 100 miles per hour. The Chinese engineers testing the system successfully shot down 30 drones with a 100 percent success rate, according to a statement from the China Academy of Engineering Physics (CAEP) cited by Xinhua. This Chinese system, once fully operationalized past the test phase, will likely find its way onto trucks for transportation and use at important public events and ceremonies. China’s investment in defense technologies for the purpose of domestic counter-terrorism highlights Beijing’s increasing concern with internal threats. Terrorism has been on the rise in China in recent years, particularly in the country’s restive western province of Xinjiang. Is the US Navy’s New Ray Gun a Good Idea? The U.S. Navy's new laser weaponry is a powerful deterrent to would-be foes, but its low cost of use is worrisome.